EPIC performances as the CIMAC Superleague begins its 2015 Season. 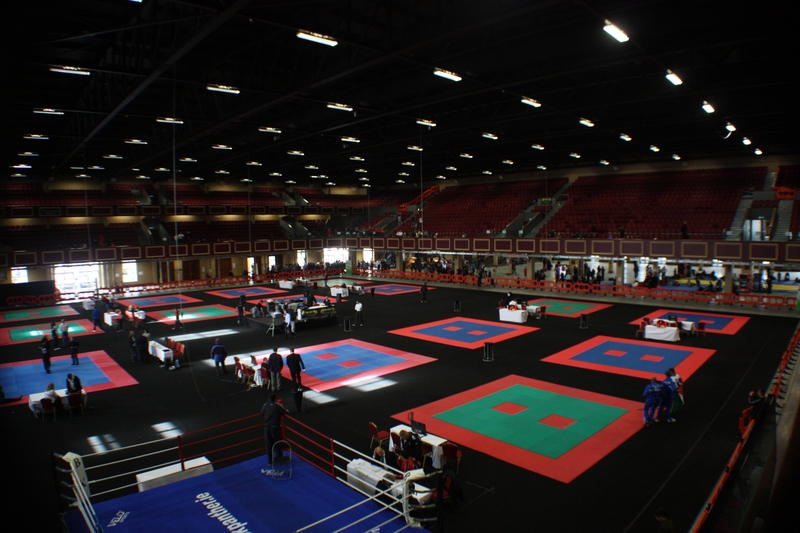 CIMAC OPEN 22nd March, Windsor Leisure Centre. 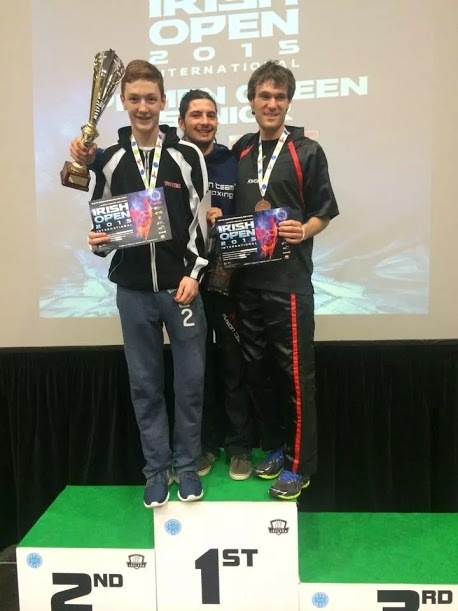 Another weekend another competition for the EPIC team in a very busy spring schedule indeed but so far this year the results have been phenomenal and the opening CIMAC Superleague series in Windsor continued this fantastic run of form. 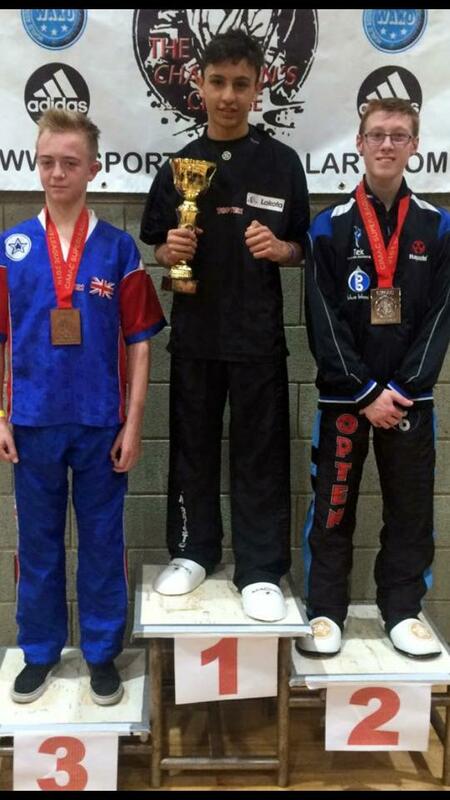 As mentioned, the EPIC students, as part of Team Bristol, had another very good day in terms of medals but one performance in particular stood out and that came from Liam Holden, who took three gold and one silver across two weight divisions in both points and continuous. His medals were gold -28kg advanced points, Gold -28kg Continuous advanced, Gold -33kg advanced points, silver -33 Continuous advanced. 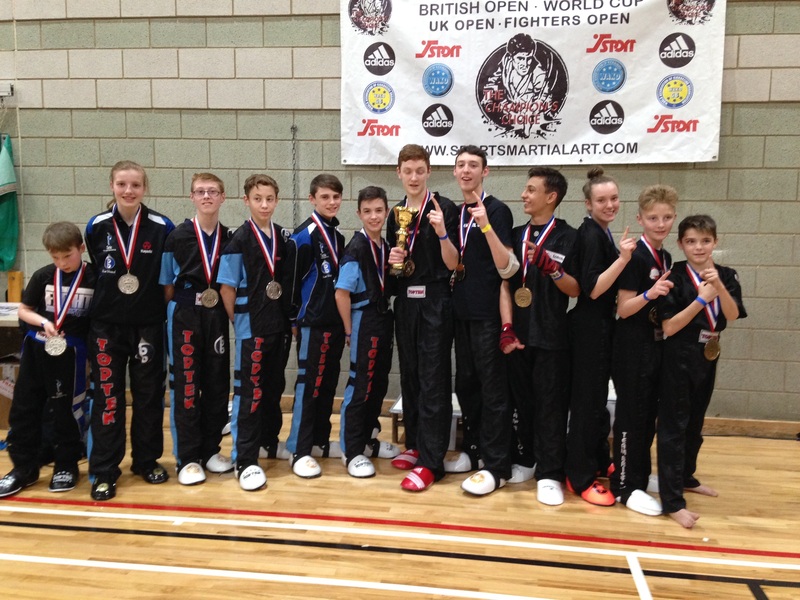 Further impressive performances came from the team’s circuit regulars and included Rio Williams who fought well in both -33kg points and light contact, coming away with 3rd place in both categories but the highlight of the day for Rio was fighting in the team challenge. Rio was the lightest weight fighter in the team and started off well scoring with a number of head kicks, taking a three point lead forward for the team which ultimately helped them beat Team Blue Blood in the challenge. 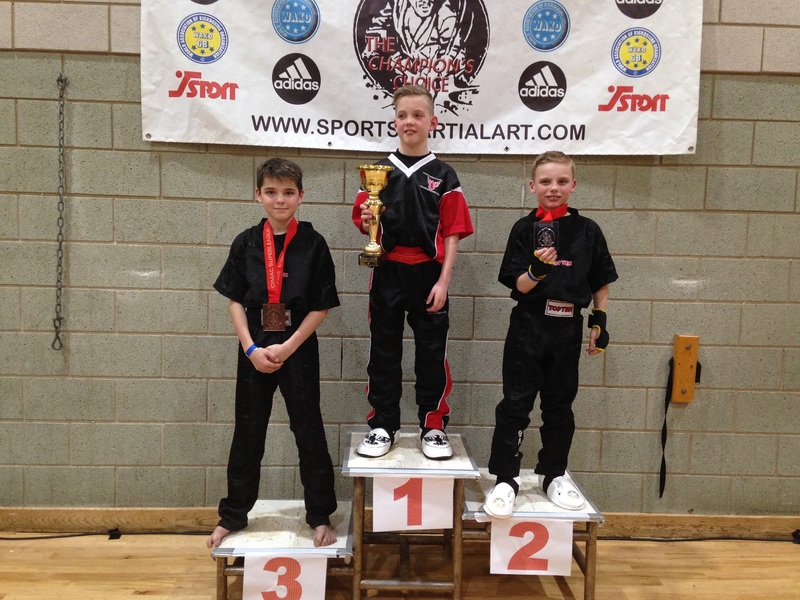 Ben and Jack Davies both had a great day at the Cimac, as Jack fought in his first National competition this year and came away with a silver in light continuous and a bronze in points after narrowly losing on sudden death for a place in the final. 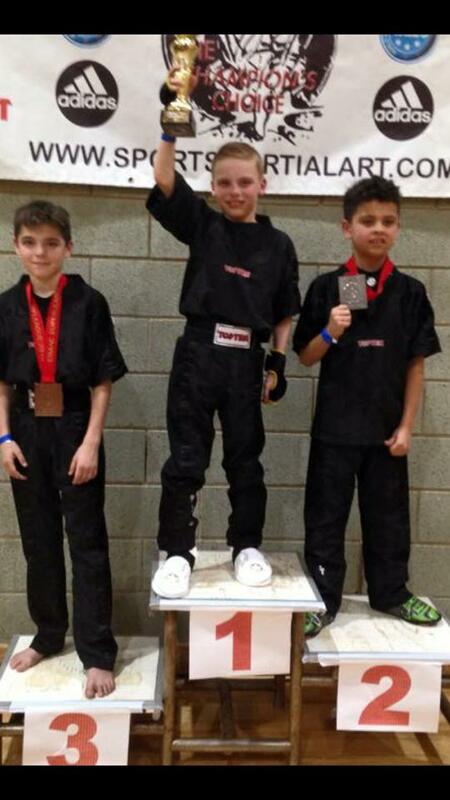 Ben came away with 2 silvers, one in the men’s intermediate and the other in the over 63kg 16 and unders. He too got a gold medal for his part in winning the team challenge. 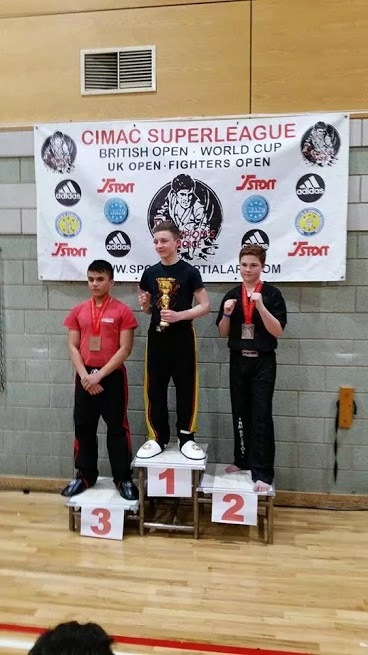 It was another day at the office for Hayden Challenger as he had three hard fight in the light contact, losing the fourth but reaching the final of the -28 kg advanced section where he lost out to Liam Holden but achieved an excellent silver. Hayden would like to thank Rio Williams and Cory Cook for helping him get to the final. The fighting Doyle’s all also managed to medal once again with Kam continuing his hot streak by taking _54 light contact silver and _54 points gold. Harrison really proved himself at the CIMAC, achieving silver in the _33 points whilst Ellie continued to improve rapidly by taking gold in the _31 points. 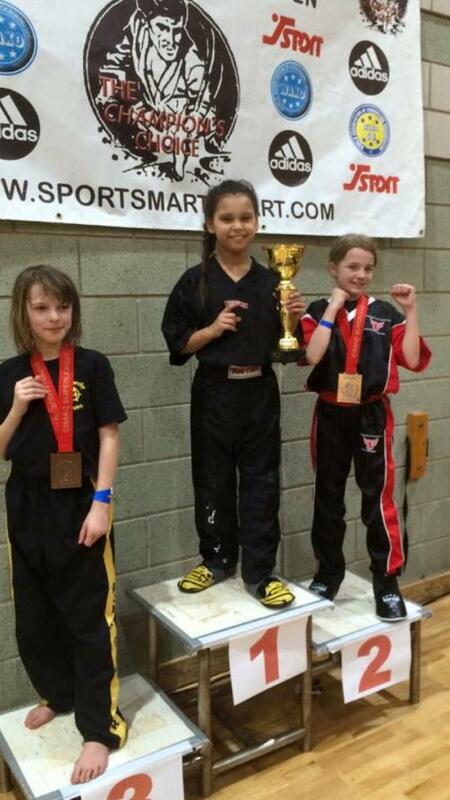 She fought above her weight and age against girls 12/13 years old and coming out with the gold really did reward her for putting everything into what she did. As 2015 continues it has become apparent that Team Bristol, with its EPIC students a core part of the team, are going to be a real force to be reckoned with at both National and International level and that many more medals are certain to be added to an already impressive haul. 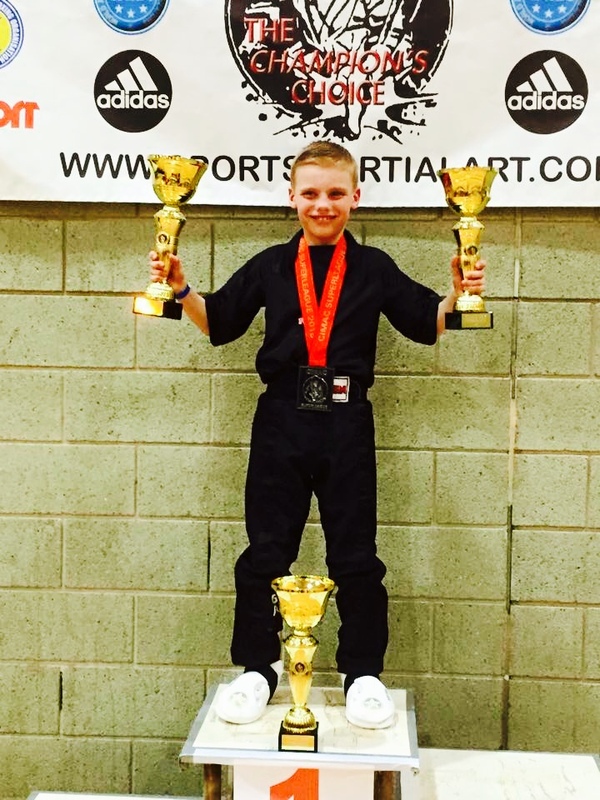 https://epicmartialarts.co.uk/wp-content/uploads/2015/03/cimac-cover.jpg 720 960 Andy Cleeves https://epicmartialarts.co.uk/wp-content/uploads/2013/04/logo-fat1.png Andy Cleeves2015-03-24 11:13:152015-03-24 15:22:27EPIC performances as the CIMAC Superleague begins its 2015 Season. 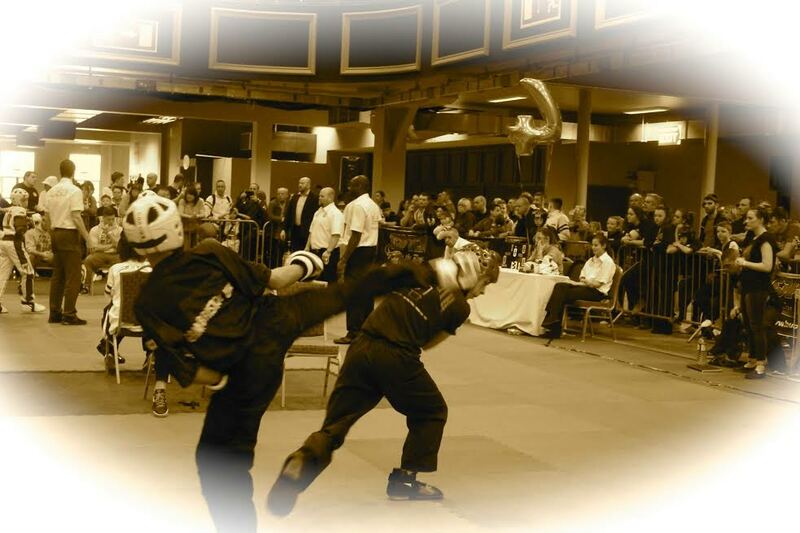 As most of you are aware, we have for sometime now,been experiencing difficulties with the letting of Henleaze School for our Martial Arts Classes. We are unable to secure satisfactory storage of the mats used in the classes and also have been unable to obtain a hire of the hall during School Holidays. Most recently, the School has advised us of additional dates that they are cancelling from our hiring. This situation leave us with little choice other than to change the venue & timetable of these classes as we wish to continue to provide all our students with the best facilities and opportunities. Pleased be assured that we have not taken this decision lightly and without every effort made to resolve the situation, however, in order to continue the high standards and professionalism we pride ourselves in, the above action is necessary. Kwon proved to be a happy hunting ground for the EPIC team giving a lot of mother’s reason to be very happy on their special day with gold, silver and bronze medals the gift of choice from their children. Once again there were many excellent performances (even if it didn’t always lead to medals) but special mention must be made of Kam Doyle who also took on coaching responsibility as well as competing himself in 3 categories. 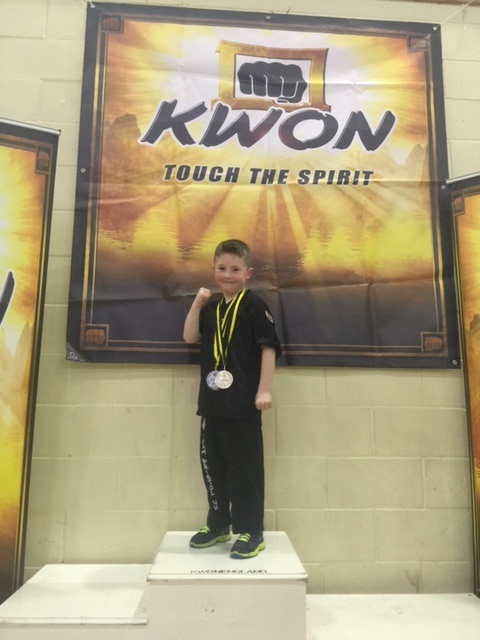 It was a hectic day for the young EPIC hero but not only did he step up to the plate superbly as Coach he still found the focus and determination to take gold in all three categories he entered, across points and continuous, a truly remarkable achievement. It was a day full of achievement for the team, producing some truly excellent results and numerous medals including gold, silver and bronze for Kam’s siblings, Harrison losing his final on first to score but still gaining silver and bronze in continuous and Ellie achieving an amazing gold and silver in points and continuous to cap an excellent day for the Doyle family. 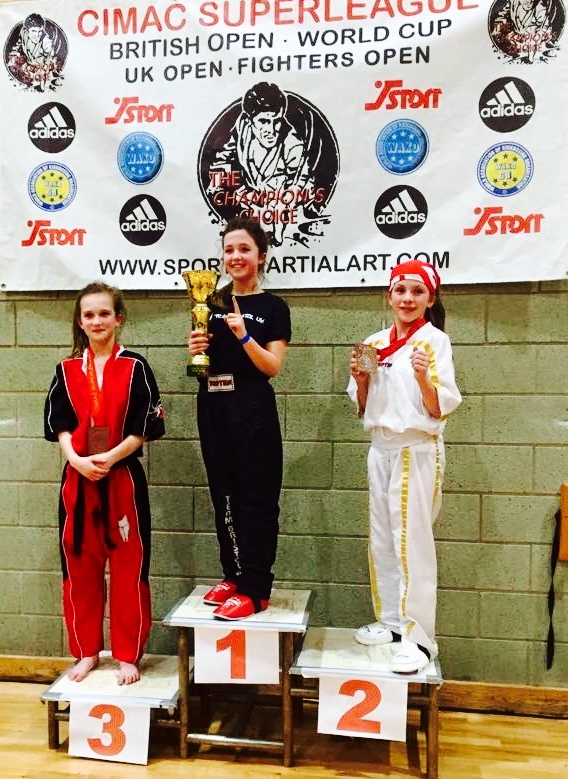 It was also an excellent tournament for Charlotte Fellender-Evans who came 2nd in the girl’s 9-15 -37kg point’s fighting, a remarkable achievement considering that this was charlotte’s first competition outside of the local interclub. 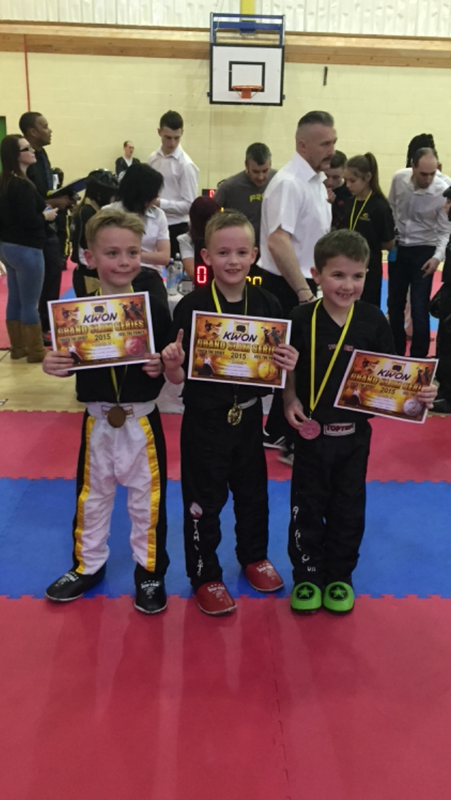 Alex Fellender-Evans ensured that it was a memorable and rewarding day for the family by securing 1st in the 8 and under novice semi -contact -125cm (point’s fighting) and 2nd place in the 8 and under novice light contact -125 cm (continuous). Harvey Tyler had another great tournament, coming first in 1st in int/adv light contact -135cm and 2nd in int/adv points -135 cm, just losing out to team mate Harry Rhodes in a great final and he would like to add a special thanks to stand in coach Kam Doyle “who was amazing.” Harry also competed in the 8yrs and under +20kgs and although he didn’t place he had 3 excellent fights, losing his 3rd fight by 1 point and just missing out on getting into the quarter finals. 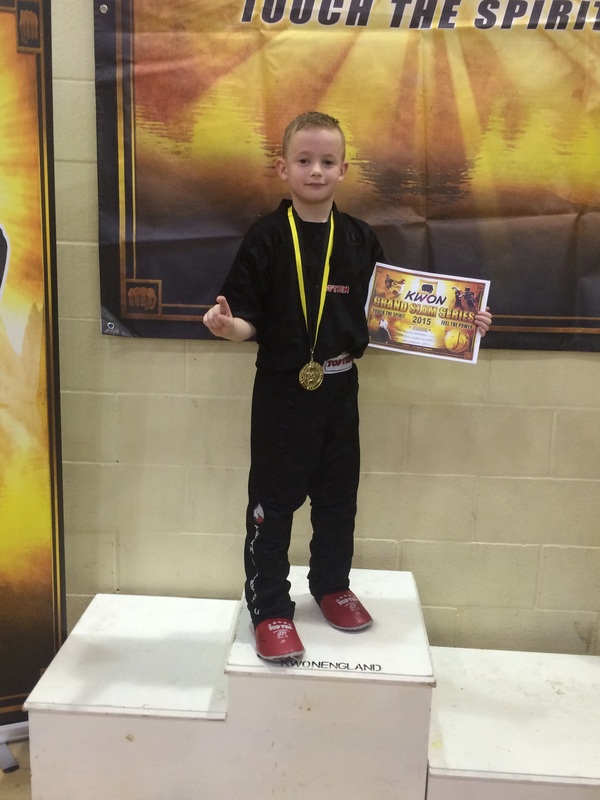 Hayden Challenger also had a great day, achieving a gold in light contact, a silver in points and a bronze in light contact and narrowly missed out on a third place finish in his fight off. Overall it proved a very good day at the office for all the EPIC competitors as the team continues to go from strength to strength and gain in vital experience as they work through a packed 2015 calendar of events. 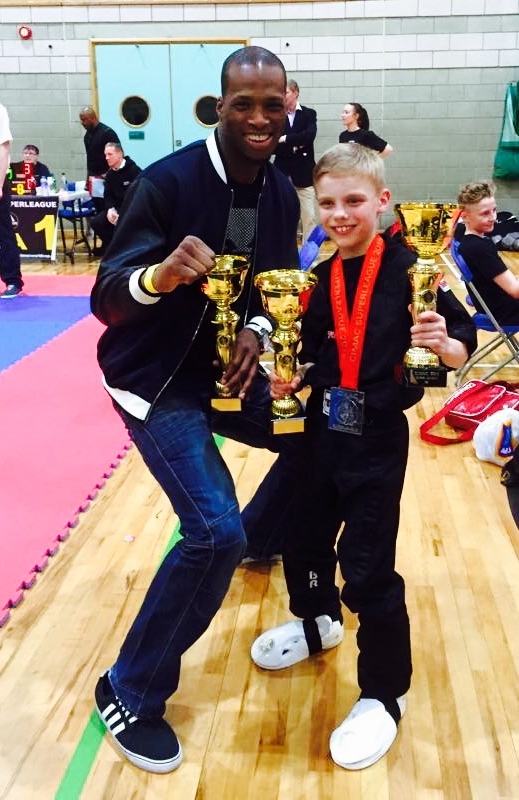 Rio Williams showed the heart that epitomises the team spirit of this group of fighters as he fought in the advanced -32kg which held over 60+ boys in his category with very strong fighters from all over the world. 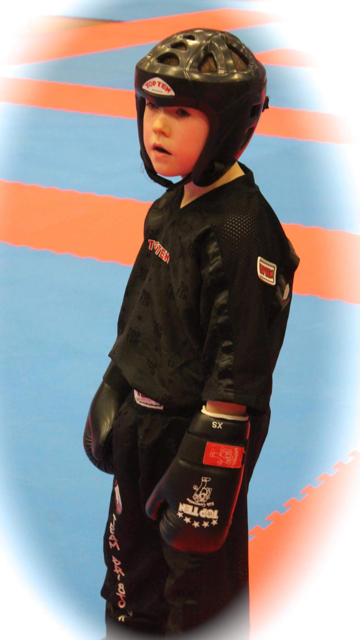 Undaunted, Rio showed his own strength of mind throughout the category, scoring a number of 2 point head kicks and even stopping a boys with 10 points to 0 in the first 40 seconds of the fight! He then went on to the semi-finals which went to extra time, just losing out by a point to get a well- deserved and thoroughly earned 3rd place medal. 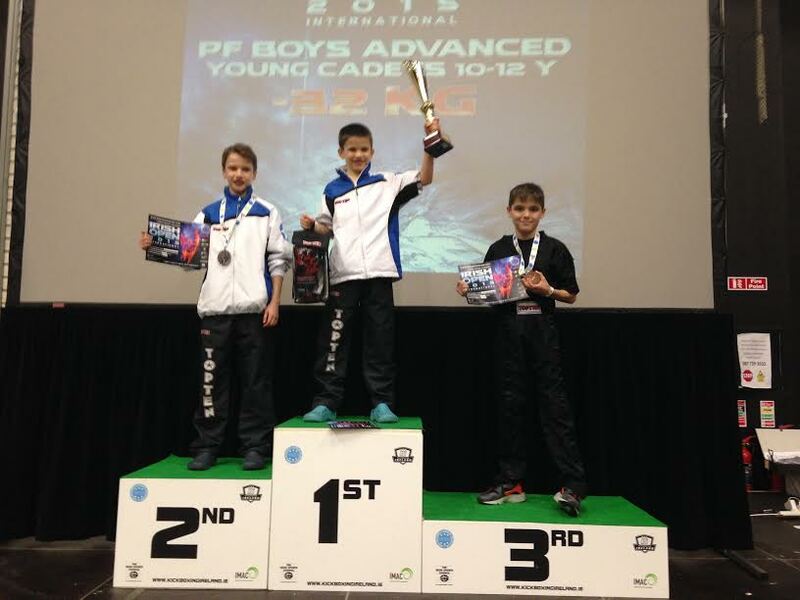 Kameron Doyle also displayed his consistent fighting qualities, medalling once again in two categories, taking 3rd in the -advance cadet 13-15 points division and 2nd in the advance cadet 13-15 -52kg points division. Kam had about 8 fights in _57, displaying his strongest technique ever, the last fight going to sudden death, where Kam was unlucky to see the referee give the decision to his opponent. As mentioned this was a huge tournament of the highest standards and was also Hayden Challenger’s first trip to the biggest competition in Europe. It proved an eye-opener but great experience for Hayden who was first drawn with an Irish lad, who pulled out, then a German lad with whom he had a great fight, narrowly missing out in the last 3 seconds. 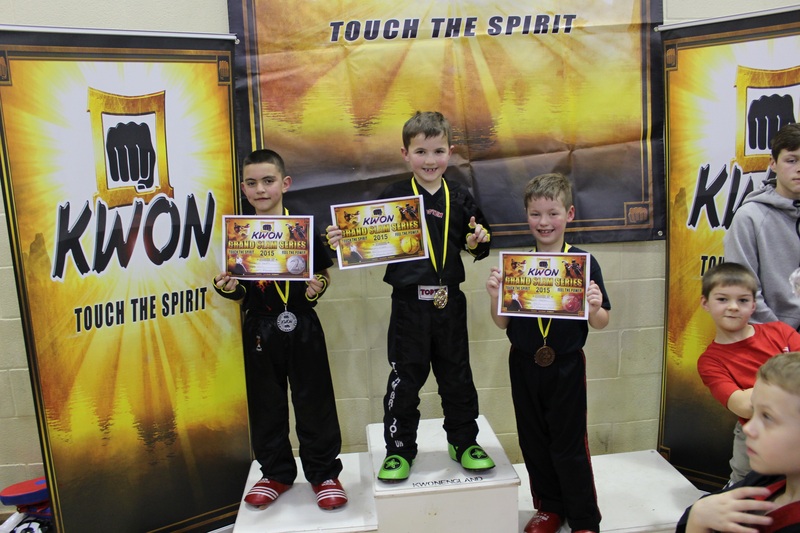 He then went to his next section losing out to the eventual winner and the trip proved a little ambitious given the age of Hayden compared to the competition in his divisions but he can’t wait until the next one! 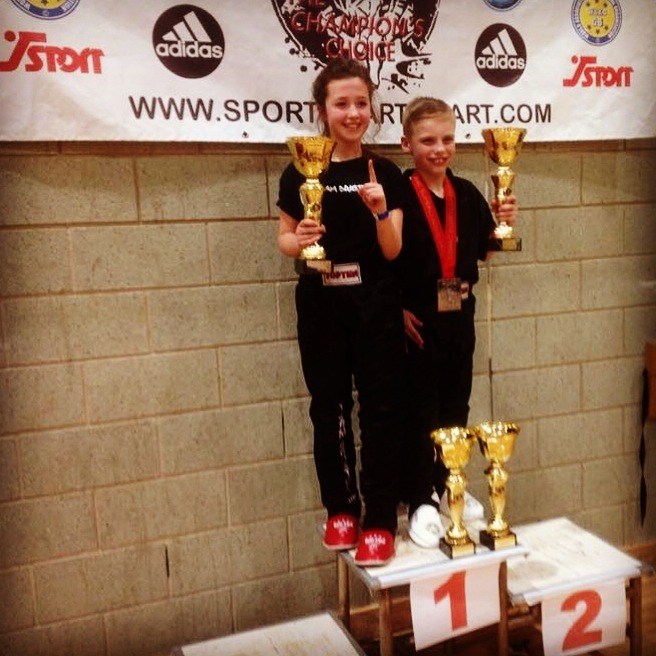 Harrison and Ellie Doyle both fought well but didn’t place as they too were in very tough divisions but benefited enormously from the experience.